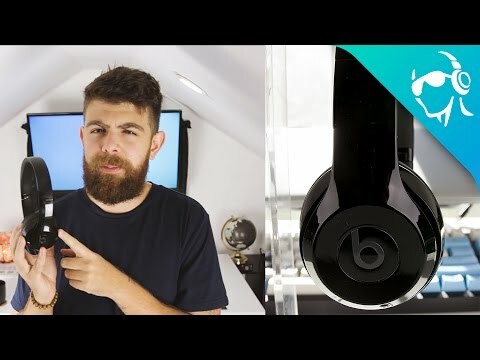 The new W1 chip works wonders, but the Beats Solo3 Wireless aren't a good buy. That said, these are going to sell anyway. So at least they come with some tangible benefits like battery life and range. For better or for worse, Beats might be the most well-known audio brand out right now. They haven’t released anything new in a while, and now that the iPhone 7 is out we know why. 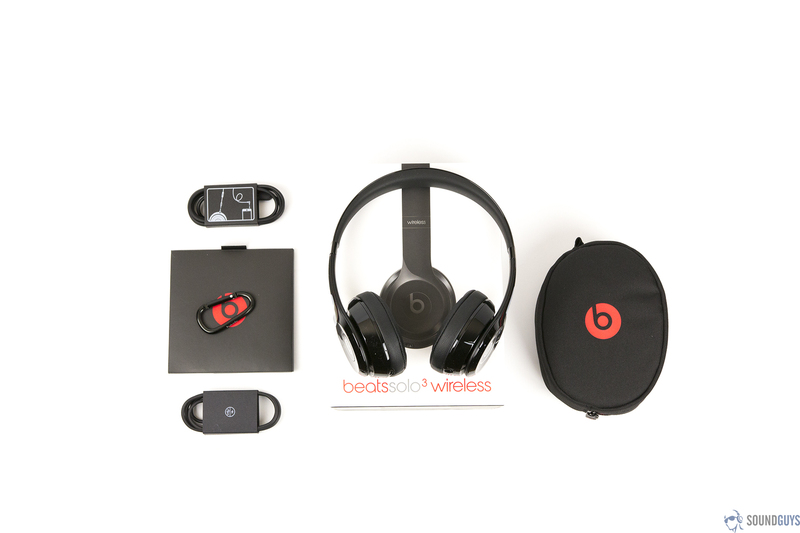 The new Beats products come with Apple’s new W1 chip. This chip is supposed to enhance the Bluetooth experience if you have an iOS device. So does it? And how about that classic Beats sound signature, is it still there? There’s a lot of questions to be answered. So let’s dig in to them with the new Solo3 Wireless. Opening the box you’ll get the classic “change the way you hear sound” message. Pulling that out you’ll get a small softshell carrying case and in there you’ll find the headphones. You’ll also get the 3.5mm audio cable with inline mic and remote, a micro USB charging cable, a small carabiner clip, and of course a small sleeve with the instructions, a Beats sticker, and warranty information. The Solo 3 Wireless look almost identical to the Solo 2 headphones. If you’ve seen those before you won’t be surprised by anything. We’re looking at the glossy black color here. Just a fair warning, they do seem to have a thing for fingerprints. But they also come in a bunch of other color options. That’s one thing Beats has always been good at. These on-ears are still made of a hard plastic all around and have really nice leather earcups. I found the padding to be particularly great because the headband fits a little too snug for my taste, but the plush earcups definitely make up for it. Now that said, these still aren’t the most comfortable headphones I’ve worn by a longshot. One thing I’m still not a fan of is the plastic padding on the top of the headband. I found that it has such a strong grip that it sometimes pulled my hair when I was taking off the headphones. That said, it’s that same grippy plastic that keeps them from flying off every time you shake your head. So it’s both good and bad. While these headphones do hold up to your average twists and turns, they still feel too brittle in my opinion. The included soft shell case is great for portability, but not for protection. If you’re thinking of picking these up I would definitely consider getting a hardshell case for these. The headphones do fold down to a very compact size which is good news if you’re a commuter. 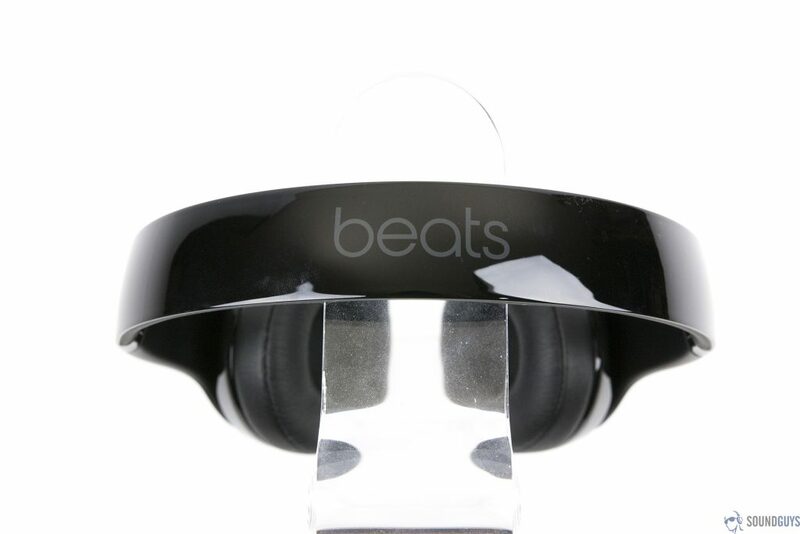 On the side of the left earcup you’ll find a single multifunction button with the Beats “b” logo. The bottom of that earcup has a 3.5mm input so you can hardwire in the included audio cable. One thing that takes some getting used to is that the right earcup also has an identical “b” on it. But it isn’t a button and I found myself accidentally pressing it on several occasions with no results obviously. What you will find on the right earcup is the power and Bluetooth pairing button along with a micro USB input for charging. This is where things take a turn and the Beats Solo 3 begin to show off their new features. This section might be a bit longer than usual just because there’s so much to talk about here thanks to that new W1 chip we mentioned. If this is the future of Bluetooth, I’m excited. Pairing to my iPhone 6s was flawless. When I turned on the headphones the pairing card immediately popped up on my phone. All I had to do was hit “connect” and the headphones were immediately paired to every device on my iCloud account which include my iPad and Macbook pro. I also found that pairing to the headphones requires the phone to be within a few inches. With two iPhones in pairing mode, the “Connect” card popped up on the phone that was closest to the Beats Solo 3. Think of it like pairing via NFC but with a longer range and the added benefit of only having to pair once for your idevices to all work perfectly. Technically my iPhone 6s doesn’t even have the new W1 chip, so how does it work with the Solo 3s that do? Well the W1 chip is only half of the equation. The other half is on the software side, which Apple pushed through on the iOS10 update. This means that hopefully we’ll see that software come to other devices in the future to make for a universally amazingly easy way to connect to a headphones. Most likely not but, I can dream. Which brings me to the downside of this process, if you’re on anything other than an iOS device you’re out of luck. Connecting to my Nexus 6 was the same old process, which isn’t really a big deal but you’re missing out on the coolest features of the W1 chip. As far as playback controls go you’ll get the same experience on both Android or iOS if you’re using them wirelessly. You can tap the multifunction button once to play/pause music or answer/end phone calls. Tapping it twice will skip to the next song, tapping it three times will return to a previous song, and holding it down will access Siri or Google Now. Thanks to the W1 chip range was also given a huge boost. If the phone is in your pocket or backpack, you won’t have an issue at all. We were able to get to around 100 feet easily without skipping at all. When using them wired you’ll only get full functionality on iOS devices. On Android you won’t be able to adjust the volume or return to previous tracks using the built-in mic and remote. So Beats claims that the battery on the new Solo 3 Wireless will last you an insane 40 hours. For reference, the previous Solo 2 model lasted 12 hours. The difference is, again thanks to the new W1 chip. These get pretty loud and testing them on max volume got us about 31.5 hours. So it’s easy to see how you can 40 hours if you listen to music at normal human levels. If you do manage to deplete your battery, throwing them back on a charger for 5 minutes is enough to get you another 3 hours of battery life. We did almost all our testing wirelessly over Bluetooth on both Android and iOS devices, but we did do some testing hardwired into an audio interface as well just to see what these could really do when pushed. This is Beats we’re talking about. So naturally the Solo 3s have a pretty strong low end. That said, I found it to be more overpowering than I can usually tolerate. Hip-hop and electronic music, which can usually benefit from a stronger bass, felt way too boomy to me and it made for a pretty unpleasant experience overall. Because of the emphasis on bass, the mids also suffered. Listening to “Generator ^ Second Floor” by Freelance Whales really showcase this issue when the consistent drum kicks come in about 40 seconds into the song. Everything is pushed out of the way when the bass kicks start and the banjo all but disappears. Even the vocals don’t have decent detail until the bass kicks drop out. Considering how loud these get Beats did a pretty good job at pulling back the highs. Songs that normally have loud piercing sounds aren’t really painful, but the highs are also really lacking in detail. The finger pick scratches in “Naked As We Came” by Iron & Wine which usually lend a nice live feel to the song is barely noticeable here. One thing that’s worth mentioning is that sound leakage is pretty real with these. If you’re listening to them above 60%, the people next to you will probably be able to sing along. The Beats Solo3 are wireless headphones that are easily recognized by passersby. The Beats Solo3 Wireless got me very excited for the future of wireless headphones, just not for the Solo3. Connecting to iOS is a breeze and the benefits of the W1 chip range from a simple pairing process, to an insane battery life. In my opinion the build and sound quality are both issues, but let’s be honest. These are going to fly off the shelves anyway. So at least these come with some real tangible benefits like a crazy long range and amazing battery life. Still, $300 isn’t worth it to me and I will be returning mine. With up to 40 hours of battery life, Beats Solo3 Wireless is your perfect everyday headphone. With Fast Fuel, a 5-minute charge gives you 3 hours of playback. Enjoy award-winning Beats sound with Class 1 Bluetooth wireless listening freedom.